Swastik Kalash Floral Rakhi along with Roli Chawal. 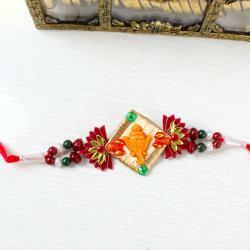 Swastik Kalash floral rakhi is that which will attract and look good on brother wrist. 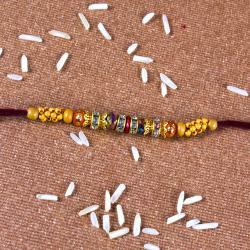 Raksha Bandhan is meant to be only for brother and sister. At that day all sister wants the same special rakhi for brother and to fulfil that this swastik kalash Rakhi option is the best choice. 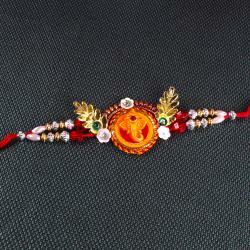 This Raksha Bandhan, you can definitely expect to give your brother an unmatched surprise with this rakhi. 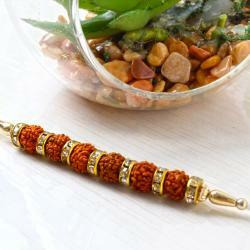 Rakhi looks immensely beautiful and promises to be a fabulous adornment on your brother wrist for sure. It is designing like a floral and on top of it there is swastik and kalash design with a colorful rings and beads on thread. 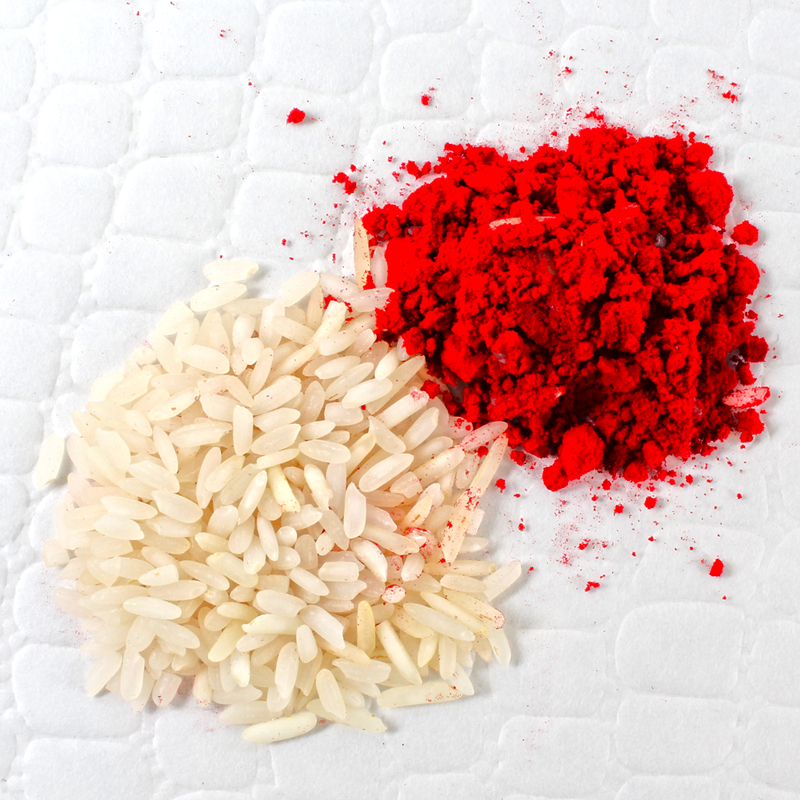 Roli chawal keeps the traditional element in Raksha Bandhan. 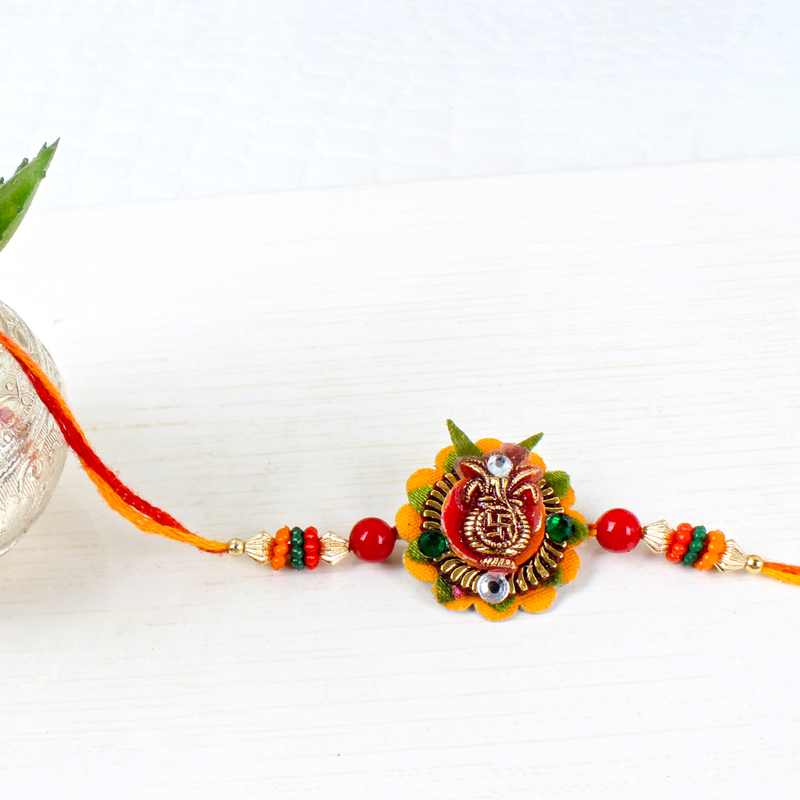 Product Includes : Swastik Kalash Floral Rakhi and Roli Chawal.